Download Clean App Website Template Free PSD file. 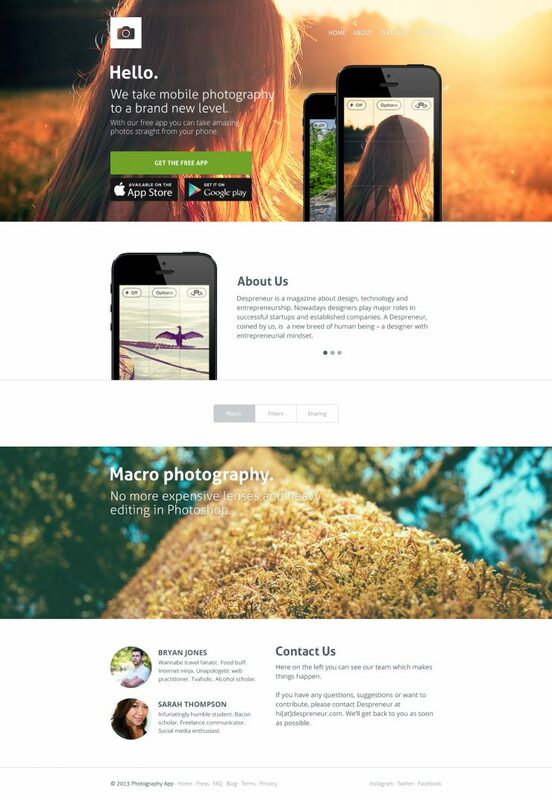 Display and showcase your apps professionally with this modern app website – PSD. You can download this template for free and use it as you wish. This means that you can use it for learning reasons, tweaking it and adapting to fit your website’s idea, change the screenshots of an app and use it as a landing page for your app. Enjoy!